Are caselot sales a good deal? Video — Smiths Case Lot AND matched Coupons! There is a current case lot sale happening at our local Smiths (Kroger) store. The military commissary has them twice a year also. Have you shopped these sales? Do you think they are a great deal over your weekly sale & coupon matched? Case lot sales allow for coupon usage and in most cased you are not required to really purchase an entire case to get the discounted price. Case lot sales here, allow the purchase of LESS than a case and get the case pricing still! So see the coupons I matched up below! Look at your ad then search the Free Coupon Database and locate coupons. Do you like case lot sales? 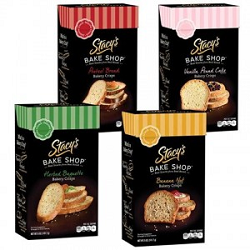 Today only, you can load the free item coupon for Stacy’s Bake Shop Crisps. Just head to the Smith’s, Ralph’s Food4less or any Kroger store digital coupon site and load this free item coupon to your card. When you are in the store, just pick up the item and the price will automatically come off your total. Save BIG on your groceries over the next 2 weeks using the Buy 10, Save $5 Instantly Mega Sale. The sale is from Nov 6-19 at Kroger stores: Smith’s, King Soopers, Ralph’s, Food4less, etc. Watch this video to make sure you do not miss out on your big savings! Check the sales ad for this week. Search for all the coupons on these sales items in the Free Coupon Database. Head to the store and work your deals! While at the store, usually up front by the ad rack or at customer service, look for a small card that has listed ALL the items included in the Mega sale. All items are not listed in the weekly ad flier. HOT Tip: This symbol <+ needs to show after each item you purchase! This means it is included in the Buy 10 Save $5 instantly sales. This will show on your receipt AND it shows on the cashier screen after the item is scanned. At times, the <+ does NOT show yet the item is included in the sale. Just point this out to the cashier & bring your “included items” list and they will correct this on the spot. 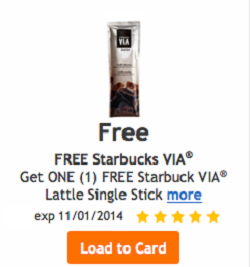 There is a free item coupon available at your local Kroger or Affiliate store! 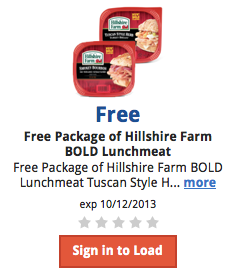 Download the free item coupon for a free package of Hillshire Bold Lunchmeat, to your shoppers card. Available to download today only 9/27 and use by 10/11. Other Good Deals and coupons this week: Be sure to search the free coupon database for more coupons to match with the weekly sale items.